Totally new concept in modern display. 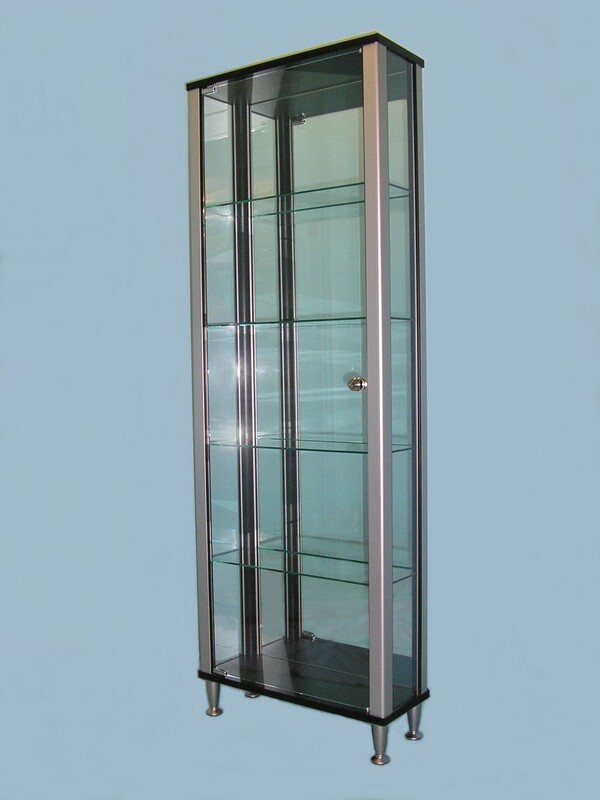 We think that you will find this classy Ultra Slim Glass Display Cabinets to be the perfect solution for retail displays with limited space as well as solving the problem for collectors who prefer not to be dominated by larger cabinets. Not only does its slender design look stunning, this is a superb space saving cabinet which can neatly fit into the smallest of areas. With a mirrored back as standard it naturally bounces all the available amount of light around the inside of the cabinet, hence we feel it does not necessarily require any additional lighting. 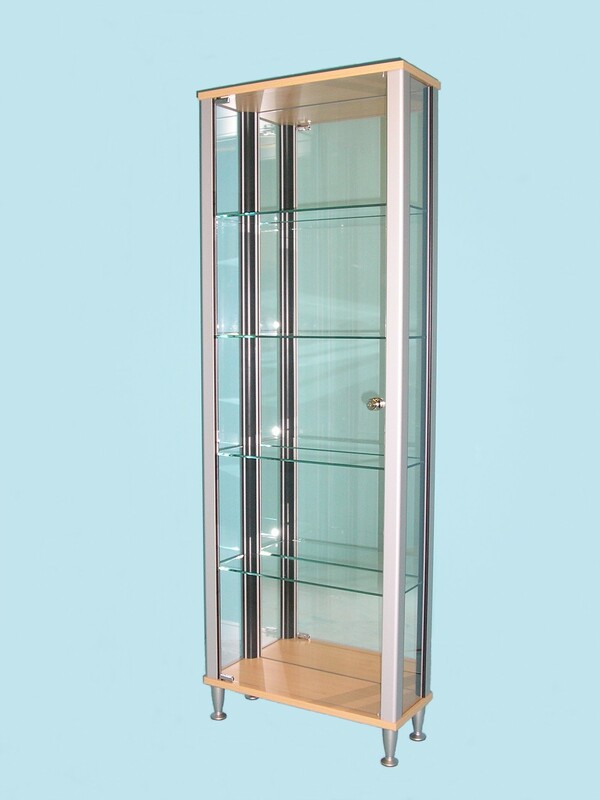 With all the style of its larger brothers this cabinet is packed with high quality features such as a high security lock, elegant aluminium corner posts and stylish matching aluminium feet it is available in a choice of classic finishes to choose from. This is a totally unique product and there is nothing else on the market to compare to it.